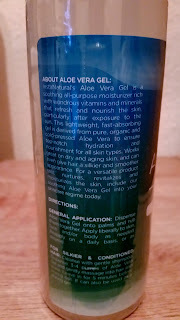 InstaNatural were so kind to send me their Aloe Vera Gel to review. I really have wanted to include Aloe Vera into my skincare regime as there are many benefits to the skin from using it. Aloe vera is a cactus plant that grows in dry and hot climates. The aloe found in products that we use is from the leaves, that produce a clear gel, when cut or broken off from the rest of the cactus. It is the clear gel that has been found to treat and be effective against many ailments you might suffer. A broad range of skin disorders from dry to sun burnt skin to be helpful in fighting ageing. I was surprised from the large bottle from InstaNatural which is 16 fl oz / 480 ml. You also get a pump that u can use or the flip top cap which is entirely up to you. 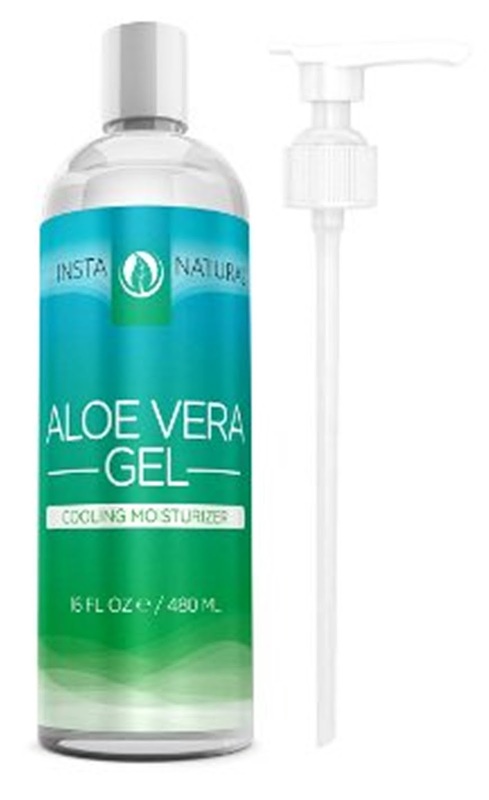 "Instanatural's Aloe Vera gel is a soothing all purpose moisturiser rich with wondrous vitamins and minerals that refresh and nourish the skin, particularly after exposure to the sun. This lightweight, fast-absorbing gel is derived from pure, organic and cold-pressed Aloe Vera to ensure top-notch hydration and nourishment for all skin types. Works great on dry and ageing skin, and can even give hair a silkier and smoother appearance. For a versatile product that nurtures, revitalises and moisturisers the skin, include our soothing Aloe Vera Gel into your skincare regime today". This gel is a light runny gel so if your looking for a thick consistency gel, this isn't one. When applied this absorbs into skin really quick and leaves skin really soft and smooth with a slight cooling feeling on your skin. I couldn't detect any scent to this gel which is great for skin that is upset by fragrant products. A little of the gel does cover a large area of skin so i can see from the size of the bottle that you will get numerous applications from this product and will last you quite awhile. Dispense the gel into your hands, rub hands together and apply to face, skin or anywhere on your body. What is interesting is you can also use this on your scalp and hair to achieve silkier and conditioned hair. "Apply 3-4 pumps to cleansed hair and massage into scalp and hair. Leave for 5 minutes and then proceed to rinse." I did try this method as i was curious whether this would work or what my hair would be like after. My hair felt really moisturised and soft with an incredible shine. 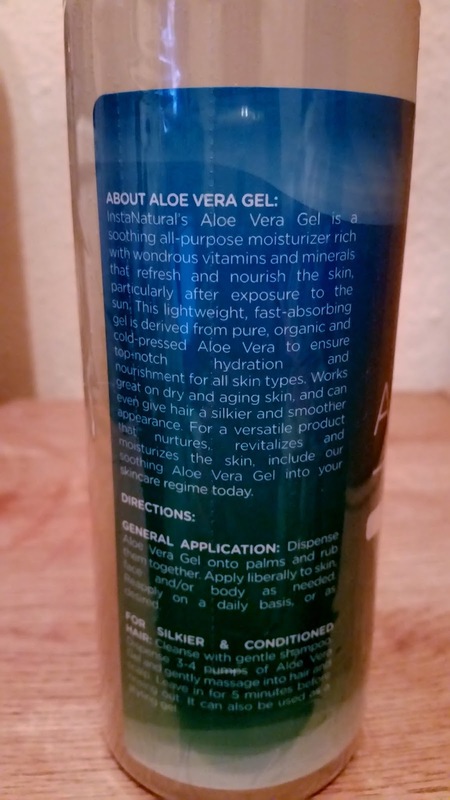 I'm really glad that InstaNatural sent me this product to try so i could introduce Aloe Vera into my skincare and hair care regime with ease. My skin has been looking healthier and feeling more moisturised. If your wanting to try this product then the link is below.